Many physiological and pathological events take place at the level of lipid membranes. The understanding of the mechanisms of action behind such events requires a deep investigation of the molecules involved, their activity, inter or intra-molecular interactions involved, their auto-assembling, their secondary structure, their lipid interplay, etc. 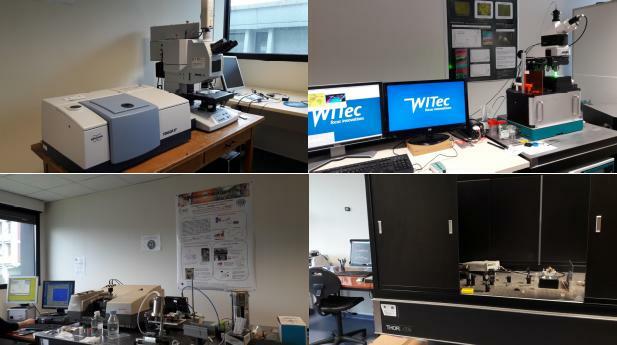 The vibrational and plasmon platform present in our team allows the study of such aspects as it is equipped with several optical techniques such as Raman, ATR-FTIR, PMIRRAS, elipsometry, PWR and Fluorescence as well as others methods as ITC. Over the last years we have mainly worked with membrane model systems (monolayer and bilayer), but more recently new projects on cellular systems and tissues have started. The presentation will very briefly describe the principles, advantages and limitations of each method as well as practical information for potential new users regarding sample requirements. Moreover, we will highlight several applications of our technological platform including among others: cell and tissue distribution of therapeutic agents, the mechanisms of action of membrane active peptides and characterization of peptide/lipid interactions, the activity of membrane proteins. Finally, we will end with a brief presentation of ongoing technological developments in the team including coupling of electrochemistry to PWR and PMIRRAs and expansion of PWR into the IR region. This seminar will be followed by a visit of the platform. Additional information concerning the platform are given on the CBMN website: http://www.cbmn.u-bordeaux.fr/plateformes/vibraen.html. The TEM platform is located at B14 building in the team headed by S. Lecomte. Sandrine Villette is the engineer in charge of the platform. 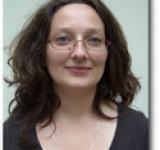 Sandrine Villette graduated in Optical Engineering at the Institute of Optics in Orsay in 2000 and afterwards obtained her PhD in the same research area in the UPMC. She did a 1st post-doc in Spectroscopy applied to Biology in Amsterdam focused on Raman Spectroscopy and a 2nd one in the CEA in Saclay on enzyme kinetics. She obtained a CNRS Researcher Engineer Position in 2007 at the Molecular Biophysics Center in Orleans where she was in charge of the Spectroscopy Platform. She joined CBMN in 2017 working on the Vibrational and Plasmon Platform and member of Sophie Lecomte’s Team (“Membrane active peptides”).